As provided in my previous blog post on how to check if your servers are in sync, I have implement a tool which you configure the different servers that you have in the configuration file and then from the UI, see which servers are in sync and so on. First, download the module from Sitecore Marketplace here and install the package via the Sitecore Installation Wizard. Once the installation is completed, click on the Sitecore Menu and you will see the module Server Sync. Note that the different text may change based on what you have input. Now, the configuration part. 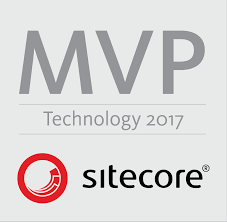 Navigate to the path Website/App_Config/Include/ and open the following configuration file: Sitecore.ServerSync.Settings.config. You need to specify the Name of your servers and also which on is the Job server. As provided in the screenshot, make use of the Type attribute to set the Job. You can have multiple servers. You only need to replicate the statement <serverInfo Name=”Server name here”/> to add more servers if required. The TargetDatabases is important. If you have different target databases, you can specify them by delimiting them using the | symbol.